This is a big-time script, nice release. Thank you, its now on SDN if you'd like to test it out! maing dart tips the paint always starts from 0 when banked. It does not work with steel darts. Just tested it, works fine, what's it not doing for you? 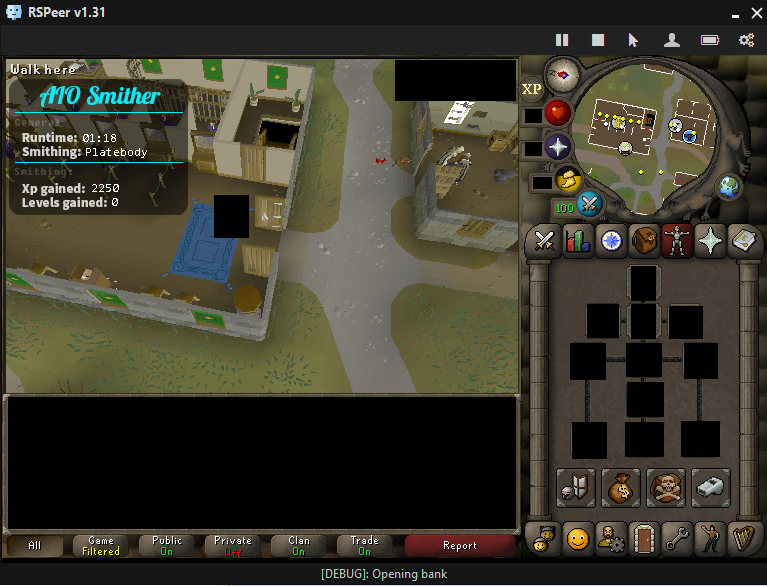 When running from bank it spam clicks super fast, none stop until at anvil. Spamming inventory icon and ground. (iron dart) Super bot like. ??? This is likely to be due to how the Rspeer interactions work and is nothing to worry about. However I may look into making it click slower during walking however I don't think it'll be an issue as I've used it till high level with no issue. 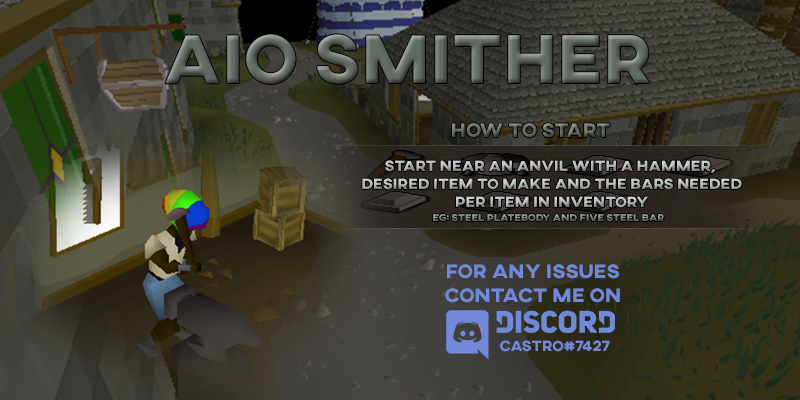 literally the worst aio smither I have ever used. Issue should now be fixed in newest version, next time give some detail when things break instead of posting useless comments. Slower "clicking" during walking to bank and anvil. Interface issue should now fixed.